The simple act of turning the lights and electronics off when not in use really pays off. 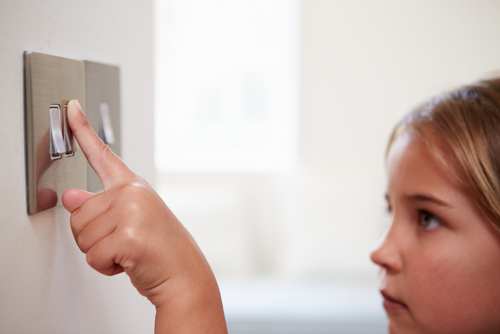 Learn when to turn off your lights and electronics for maximum benefit. It's easy, it's free, it takes just a few seconds, and it saves you money. How can you beat that? By turning off most electronics and lights whenever they are not in use you can save energy, save money, and reduce your impact. Keep reading to learn about when and how to power down to save! In general, you want to turn off the lights whenever you leave the room. This holds true for all lights except CFLs. CFLs (compact fluorescent lights) use a surge of energy when they are turned on. It is recommended that CFLs are only turned off when they are not needed for more than 15 minutes. For all others, start to build the habit. And if you see an empty room with lights on, turn them off! Extra Credit: Go high tech and install smart lighting controls. New lighting systems allow you to control lights with a smartphone are a great way to make it even easier to turn off your lights. Take a moment and think about how many electronic devices you have in your home. Many homes have computers, printers, monitors, televisions and/or entertainment centers. All of these devices draw electricity while they are on even when not in use. This is called “vampire” energy. Turning these devices off when not in use can save you a significant amount of energy. However, some of these devices have “sleep modes”, which may provide some energy savings in the short-term. Read on to learn when to power down each type of device. Computers: As a rule of thumb, computers should be turned off when not in use for more than two hours. Many undergo an energy-intensive process when they are first powered on, so powering down too frequently can actually increase their energy use. By using “sleep mode” and other power saving settings on your computer instead of powering down for short periods, you can save as much as $30 on your annual energy bills. Monitors & other auxiliary devices: Monitors should be turned off completely when not needed for 20 minutes or more. Screensavers do not save energy, and monitors use energy even when in “sleep mode.” Turning down the brightness of your monitor will also save energy. Printers, scanners, game consoles, and other auxiliary devices should also be turned off whenever they are not in use. 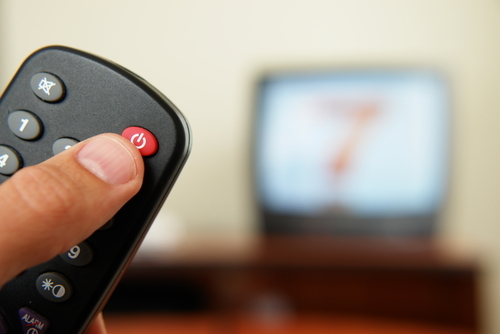 Entertainment Centers: Many televisions and entertainment devices use power in “standby mode” as they await your remote control even when they appear to be “off.” Turning off entertainment devices completely when they are not in use can save significant energy. The best solution for electronics? Connect them to a Smart Power Strip that will automatically turn them off when not in use. Learn more on the Install Smart Power Strips actions!